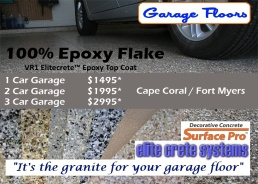 "It's the Granite for your garage floor"
With Increteable ™ floor preparation can be 90% of the job. 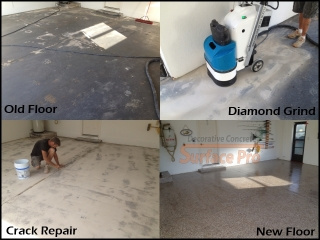 We feel and experts would agree that the best way to profile a concrete floor is to diamond grind it. In order to achieve good adhesion we need to remove the smooth top or contaminated surface of the concrete. Diamond Grinding is a technique that will correct small irregularities such as divots and uneven cracks, we then fill all cracks and spalls.